Thank you all for participating in ReBooWee! From December 1st until today, February 1st, we all logged in a total of 43 books (not counting the one's you read this past week). This is fabulous! I hope you enjoyed it. ReBooWee kick started my reading habits again. I had gotten lazy and was spending way too much time in front of the t.v. each night. Now I am balancing my t.v. viewing with my evening reading. What did you read last week and what did you get from ReBooWee? Writing the Breakout Novel by Donald Maass. Fade (Wake Series, Book 2) by Lisa McMann. To Hell in a Handbasket by Colorado mystery author Beth Groundwater. This was just the push I needed to make myself sit down and read at least 30 minutes in the morning before I turned to other tasks (and a little more at bedtime). Last week I read another Deon Meyer (the South African author) thriller: Blood Safari. He puts so much local color into his novels that I feel I've learned a lot about the land and the culture. It's over already? I had my next book lined up! Oh well, I'll read anyway. I didn't offically participate - although I think it's a GREAT idea!! Last week I finished The First Excellence by Donna Carrick & started Betrayals by Carla Neggers. Both great reads! Congrats to all the readers! 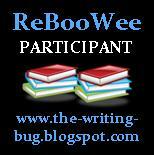 Even though ReBooWee has ended, you can keep going and share with me what you are reading. Carolyn, I don't have anything lined up yet, but give me a week or so and you never know. This past week, I read Between a Rock and a Hard Place by Aron Ralston, which proved to be a riveting read. I really wanted to read this before seeing the movie. What I've learned from ReBooWee: I want to continue reading at least a book a week for all of 2010. I've also realized how important books, reading, and literacy are to our culture and communities. Thanks for the great motivation with ReBooWee, Kerrie. Happy Reading!